He may visit Ukraine to "please" Petro Poroshenko. Ukrainian tycoon Ihor Kolomoyskyy has denied providing financial support for presidential candidates Volodymyr Zelenskyy and Yuliya Tymoshenko. Interviewed by the BBC News Ukrainian, he said that comedian Volodymyr Zelenskyy was "absolutely independent". "We have contractual relations with Zelenskyy – between the TV channel of which I am a shareholder and his production studio. I believe that the One Plus One TV group is deeply interested in a contract with Zelenskyy's Kvartal of which he is a frontman. This is how far our relations go. We have no joint business," Kolomoyskyy said. "A change of generations is always a painful process. It always brings a question how we can let the young rule if they do not have any experience and can do nothing, and that we should let experienced politicians be. But there are no results," he explained. He pointed out that he did not provide financial support either for Zelenskyy or for Tymoshenko. Speaking of the latter, he noted that "although she is not from the young generation of politicians, this person, as people say, has gone through hell and high water, had her ups and downs". "She will certainly be better but it is time young people have an open road," he said. 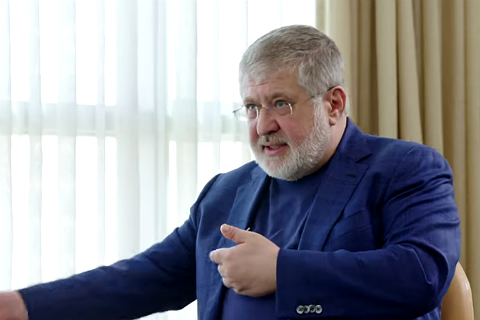 Kolomoyskyy said he might visit Ukraine "on the eve of the first round or between the rounds to 'please' our respected Petro Oleksiyovych," he said.